After graduating from Bowling Green State University (B.S. 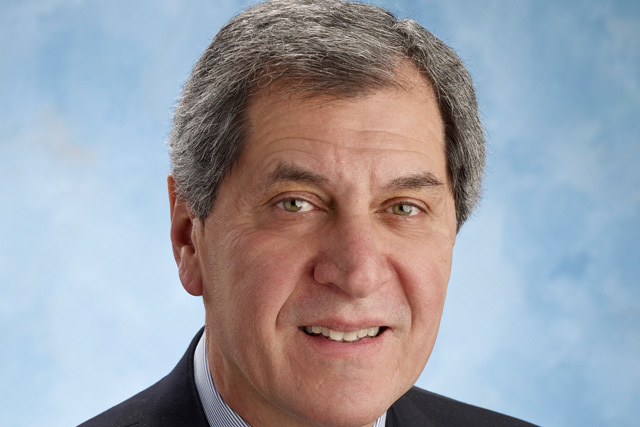 in Accounting), Art J. Falco began his career as a CPA. He joined PlayhouseSquare as Finance Director in 1985 and became President and CEO in 1991. During his aegis, PlayhouseSquare has become the nation’s largest performing arts center outside New York, the largest theater restoration project in the world, and one of only a few centers to present Broadway touring productions for two weeks or longer. With fiscal responsibility his paramount goal, Falco has continued the vision of the founding trustees to make PlayhouseSquare as self-supporting as possible. He worked to develop a portfolio of non-theater assets, including a hotel and office buildings, which eventually led to the formation of PlayhouseSquare Real Estate Services. PlayhouseSquare also has become a model for other performing arts centers, which look to PlayhouseSquare as a unique non-profit arts organization which earns a very high portion of its operating budget (the highest in the nation within the performing arts industry) and has become a quasi-area development authority. Under Falco’s stewardship, PlayhouseSquare partnered with WVIZ/PBS and 90.3 WCPN ideastream to create the Idea Center – ideastream headquarters and home for PlayhouseSquare’s community engagement and education programs. In 2008, Falco oversaw the collaboration with Great Lakes Theater to restore the Hanna Theatre. In 2009, a long-held idea of Falco’s finally came to fruition: Cleveland Play House (CPH) became a resident company of PlayhouseSquare. The Allen Theatre was reconfigured as the new home of CPH in partnership with Cleveland State University (CSU). Focusing on the goal of creating a vibrant, 24/7 destination, Falco has brought destination dining and residential living to PlayhouseSquare. As a Broadway League member, Falco is also an official voter for the Tony Awards. Falco and his wife, Maryann, reside in Shaker Heights, Ohio and are the parents of two daughters.